With sleek new designs, enhanced audio technology and clever cable management, gaming headsets are better than they’ve ever been. 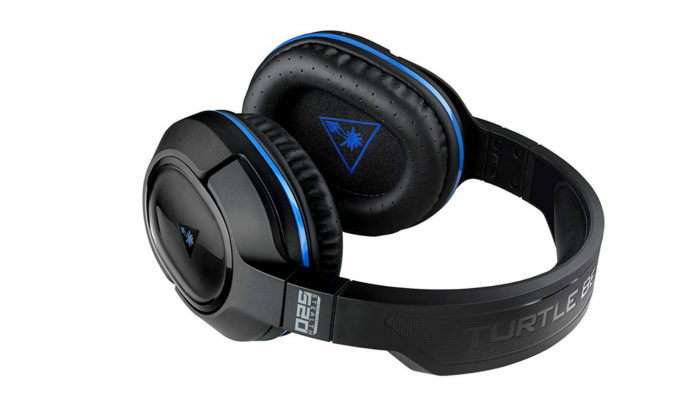 The Turtle Beach Ear Force Stealth 520 ($130), on the other hand, is pretty much the same thing that the estimable ear-wear company has been putting out for the last few years. To its credit, the PS4-centric Stealth 520 provides good audio for games and can give competitive players a welcome edge, with detailed surround sound. On the other hand, its dated design and problematic mic make it a tough sell compared to some of its more refined competitors. One thing Turtle Beach has always done well is exercise restraint in headset design. Turtle Beach peripherals are elegant and economical, and the Stealth 520 is no exception. The ear cups aren’t big enough to use as bludgeoning weapons, and the color scheme won’t make your head explode like Belloq in Raiders of the Lost Ark.